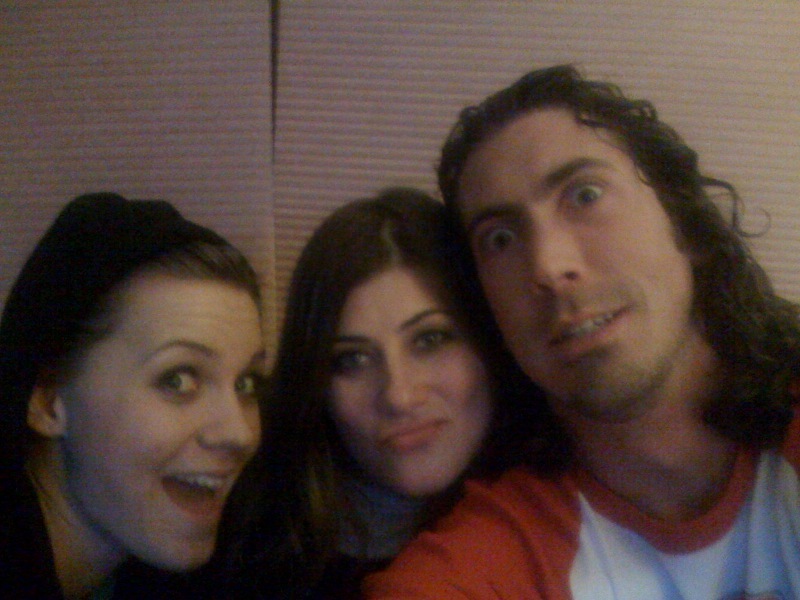 Behind The Scenes Pics From Our Video! This HUGE tree was the perfect backdrop. It's a WRAP! Cheers to our FIRST OFFICIAL MUSIC VIDEO! Yeahhhh. 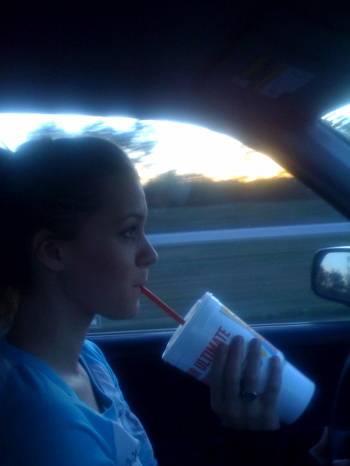 Don't think we didn't go straight to SONIC after the shoot...cause we did. Not sure why Kate was making a sad face. If you haven't seen the final video yet...CLICK HERE TO WATCH! Oh hail King Sonic and your Vanilla Cokes & Vanilla Dr. Peppers. So, we took a little road trip to celebrate the new EP...you know, "Finding My Own Way"...we decided to find our own way up to the Chicago area for a couple days to bring in November right. Here is a little synopsis of our trip. 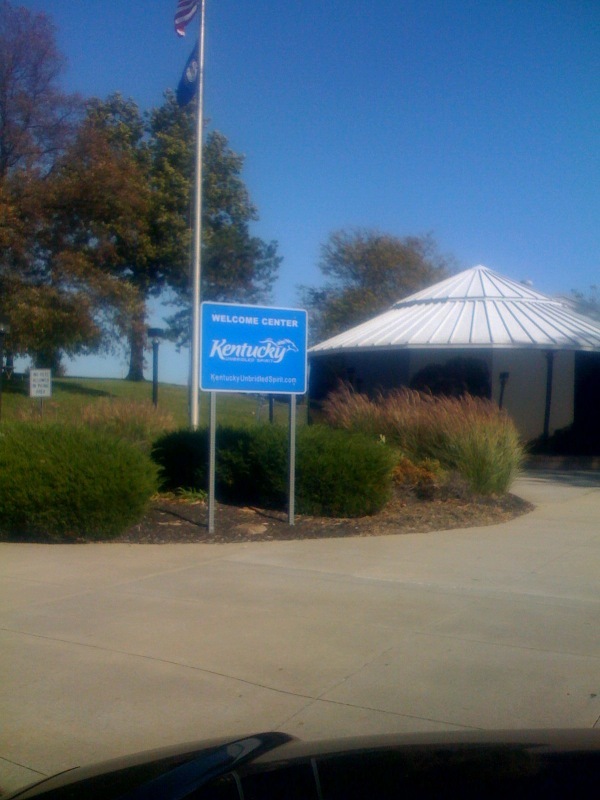 After about an hour of driving, we made it to Kentucky. Yeah! Kentucky! So, after that very exciting event, we continued on our way and what do you know? 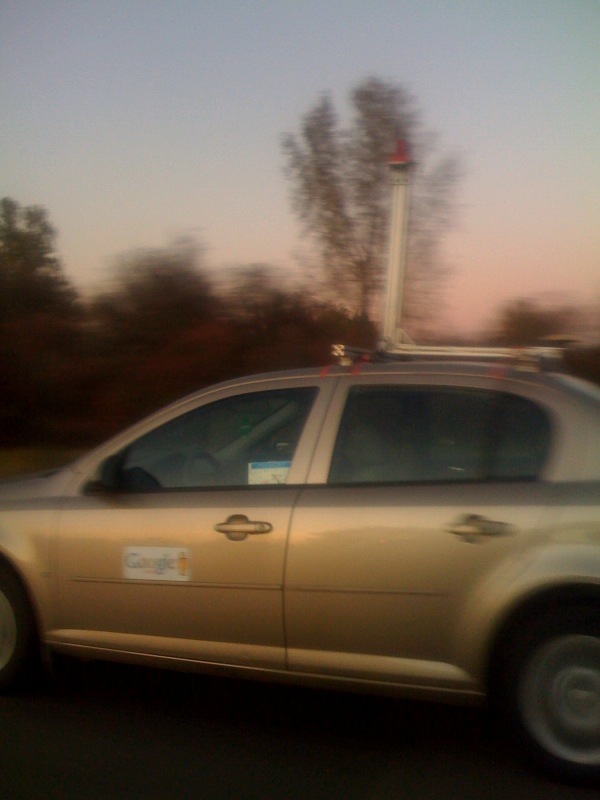 We passed a "Google-Car." Again, a very thrilling encounter. 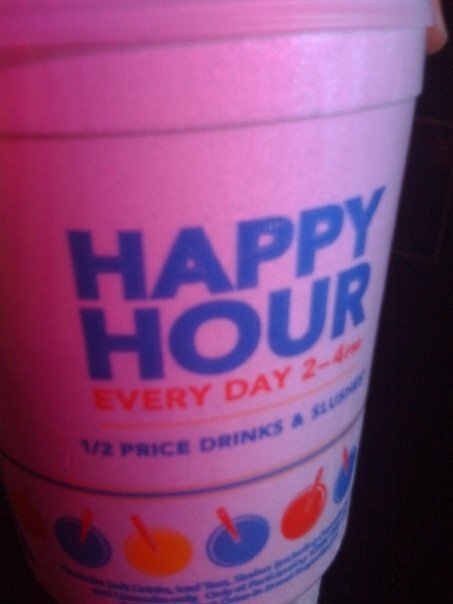 Well, no road trip is complete without a large Sonic drink (only 99 cents between 2-4!) Here is Kate enjoying her delicious beverage. 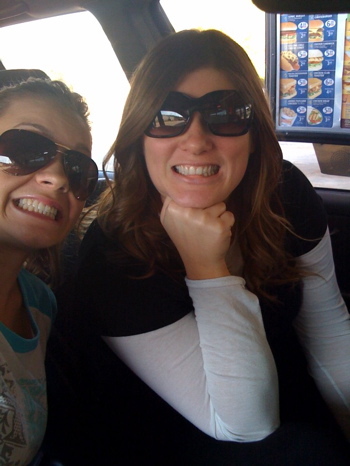 ...and both of us ecstatic about Sonic happy hour. 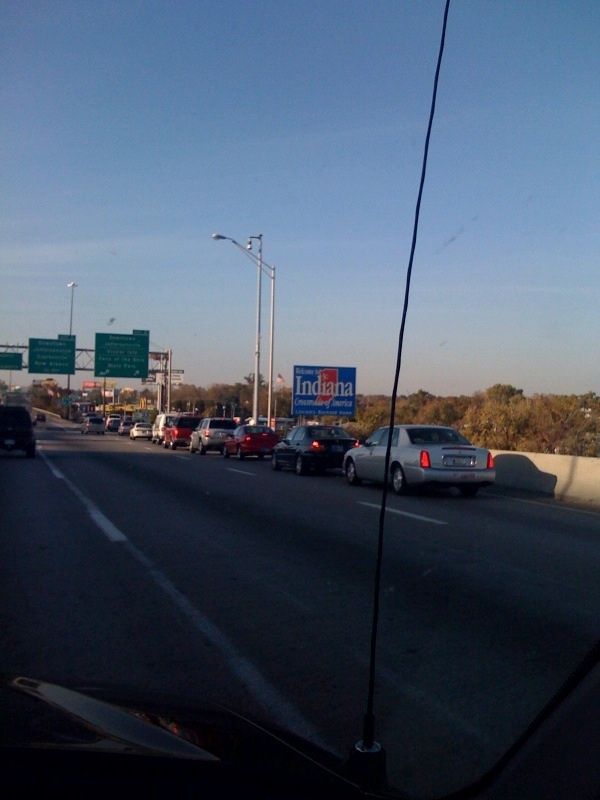 Not long after our Sonic stop, we crossed over into the Hoosier state, Indiana. Corn and basketball...how can you go wrong? It just so happens, that one of our BFF's hails from this lovely state. He doesn't live there now, but was there visiting his family so we swung by and had some dinner with them. Here we are with our friend "Stix" aka Scott...who will be drumming for us in the not so long future...yes, that means shows, people. We hear you. The last leg of the journey was upon us and we finally made it to Illinois. 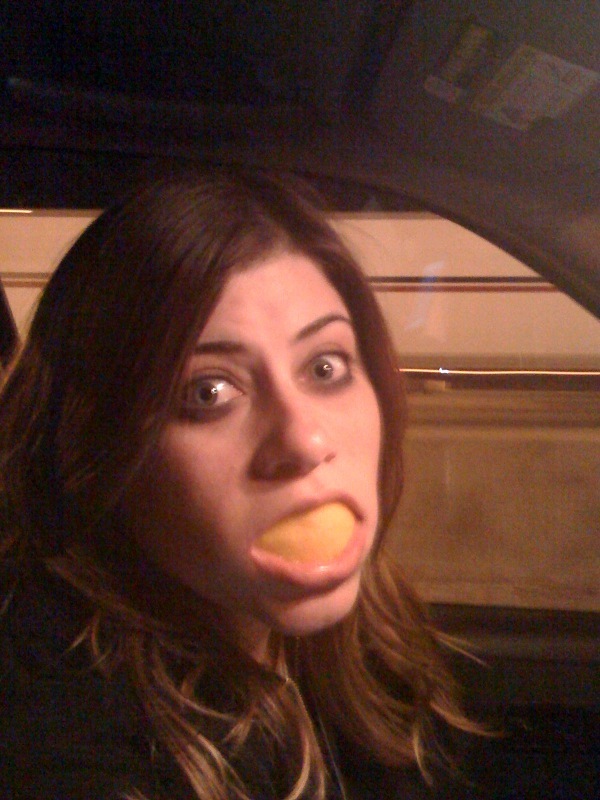 We ended up sitting in traffic outside of Chicago at 1 in the morning for about an hour, but Stix's mom sent us off with orange slices and that kept us trekking on. Chicago was fun and a nice change of scenery, but since this is a road trip blog, i will skip ahead to the road trip back to Nashville. 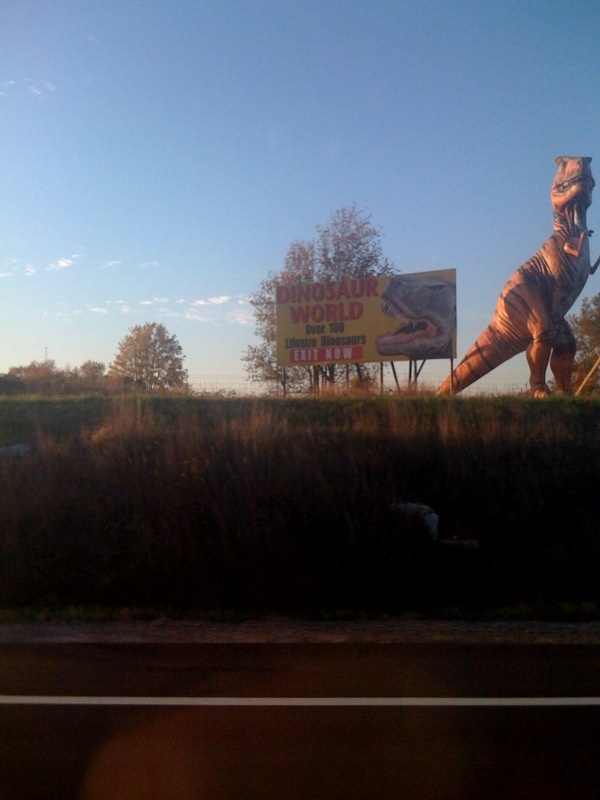 You have to appreciate the randomness of "Dinosaur World" right off the highway. 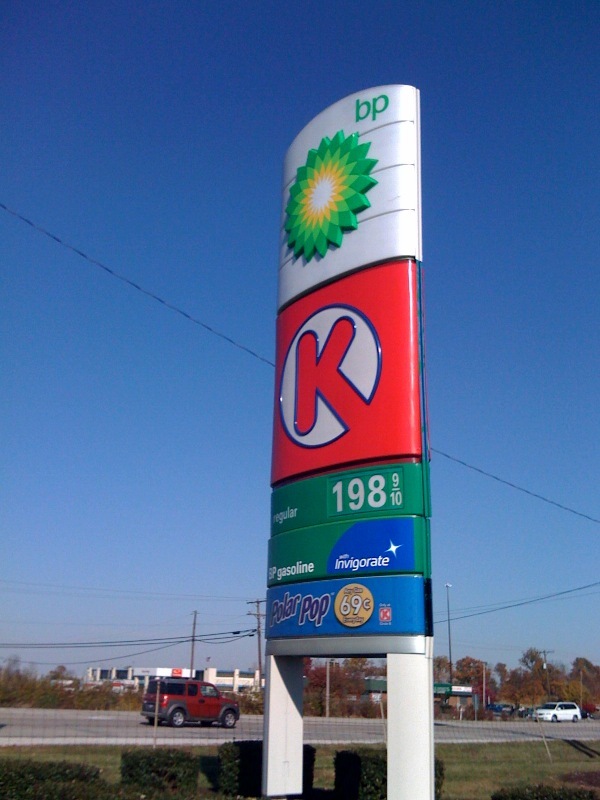 We found gas for $1.98/gallon in Indiana! All of a sudden, i thought it was 2004, but alas...it was still 2008 and i took a deep sigh of relief. We celebrated the "cheap" gas with an extravagant lunch at Subway. Well, no pictures of this, but we counted 11 dead deer on the way home. How morbid, i know. You've got to keep yourself entertained somehow though. We made it back in time for the big Election day. Here's Kate with her "I Voted" sticker. By the way, i voted too, but just absentee-ly...so i didn't get a sticker. Bummer.